If you take anything away from the SEO discussion below, it’s NEVER, EVER, EVER add large amounts of duplicate content to important domains. Over 5 years ago I had a really nice set of Amazon affiliate stores that used Amazon’s XML datafeed, prior to Google cracking down on thin affiliates for duplicate content: basically content created using the affiliates content with no added value, AKA duplicate content or thin affiliate content, my very easy to make millions of indexed Amazon affiliate product pages (created from duplicate content) went from pulling in 25,000+ unique visitors a day to a fraction of this traffic (probably about 500 visitors when I wrote this, little from Google, today 2014 probably no traffic). Went from making around $50,000 a year just from those Amazon affiliate stores to a hell of a lot less: made just $117 from Amazon last month (2010), $75 the month before taking into account AdSense income from the stores pages I’m probably making less than $1,500 a year from those pages (2014 update next to nothing now). The same is true of duplicated articles (article content is no different to product content to Google), so if all you do is copy articles from article directories like every second webmaster trying to make easy money online you are highly unlikely to do well in Google long term. You can get away with some duplicate content, but use too much on a page/site and it will not rank well in Google no matter what you do. That’s not to say duplicate content can’t pull any Google traffic, you might still get some real easy SERPs, but in comparison to what you would get if the content was unique it’s a trickle of traffic. Like I said 25K compared to 500 visitors a day and that’s from about a million indexed pages (Google will still index your duplicated content, but don’t expect a lot of free traffic)! My advice is avoid using a significant amount of duplicated content on any page you consider important. I hate to give precise percentages since every page is different, with a small page you can get away with more duplicate content relatively speaking than a large page: if there’s 500 words and 200 are duplicate that’s not that much duplicate content, in comparison if there’s 3,000 words and 1,000 are duplicate (less of a percentage than the first example) that’s a LOT of duplicate content for a page that size. Like wise 200 duplicated words out of 3,000 words isn’t a lot, that could be considered a quote of another page or something which isn’t going to trip any duplicate content filters in Google. In general I’ve found you can add duplicate content to a site and it not negatively affect your unique content, but if for example you are adding 10 duplicated articles to every 1 unique article, you are pretty much wasting the vast majority of your SEO benefit (from links) on pages that are going to be penalized, basically using duplicate content is a waste of resources. 2014 SEO Update: it’s different now, Google does appear to downgrade a site (the entire domain) for having duplicate content, so more duplicate content you have less well your unique content will tend to rank. I see it as a domain trust issue, if all your content is unique Google has no reason to doubt the quality of the content on the site, if a significant amount of content is duplicate it raises questions about the rest of the content. I think of it like a credit score, if you’ve had some bad debts your considered more likely to default on a loan, so your credit score is lowered (your domain is less trusted for having duplicate content). I don’t know how Google determines how to rank the unique content, might even be the domain isn’t penalized per se, but link benefit (PR) flowing through duplicated content has a dampening factor, similar to how Google disregards the PR/link benefit of some links when they believe they are paid for or acquired to game Google rankings. If the PR is dampened (and I’m not saying it is, just saying it could work this way) more duplicate content Google finds more link benefit that’s wasted. I had a website I wasn’t really using, home page PR3. Was a waste to have a website with PR and no content, so I added an automated tool for adding articles from an article directory. So used duplicate article content only. Over 1,000 articles had been published with many covering niches that are relatively high traffic. Now at PR3 home page I didn’t expect thousands of visitors a day, but if all this content were unique I could expect to see at least 500 visitors a day and probably 1,000. Actual traffic is more like 10 visitors a day. Update 2014: The domain eventually lost it’s PR3 and never ranked for anything useful, I let the domain expire a while back. 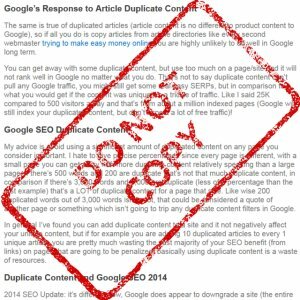 Avoid using duplicate content, I’ve tried all sorts of ways to get past the automated duplicate content penalties, but within a week or two of adding the duplicate content it’s clearly been downgraded in Google SERPs. There are exceptions, public domain content: no one owns public domain content, when using public domain content it’s NOT duplicate content in the sense of scraping it from another website (stealing it) or using thin content from an affiliate where there is an original source. No one owns public domain content, anyone can use it as they see fit: Google ranks all sites with public domain content equally since there is no original owner. With the correct SEO and marketing campaign a new website can build a new website like Books to Read, add public domain content and gain a Google rank based on the onpage SEO/offpage SEO with no SEO tricks. I run a small niche site, the core pages of which are all written by me and are fine. However, in a separate section I also republish Victorian novels on-line, all available to read for free. My issue is that many of those novels are also published in one or two sites elsewhere. Visitors value these books, indeed the index page for the books is always my highest visited page. But the pages are surely duplicate content, and I am currently suffering a Google penalty. People from all over the world *want* my pages, but Google slaps me for carrying them. Any thoughts? The index page per se is not duplicated content. So focus on ranking that page. 1. Block Google access to novel folder with robots.txt file. 2. Add a meta noindex+nofollow to novel1.html and all novel files. 3. Make all the links on the index nofollow. That way you should get rid of the penalty and still keep the content for visitors, the novels itself will not appear on Google (you shouldn’t try to rank copied content) but it doesn’t matter cos your index will keep ranking good. 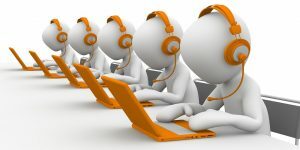 comparison affiliate sites like bizrate, shopzilla,……and so on…..
All these sites have no own original unique content and they rank well in google and make money. So whey they are not “penalized” by google and making money? They only show product advertise. New site with the same old content. I replaced my old site to a new domain after expires my old site. And google indexed my new site after one day. But the next day it is not showing in the index(checked by ‘site:www.alfainads.com’). Did you not setup a 301 redirect from the old site to the new for at least a few months to give Google time to know the new site replaces the old? I’m in the process of deleting a bunch of domains by moving the content here to support the WordPress SEO Package I develop and because the old domains have backlinks I’ll probably have to pay to keep the domains registered for years (current plan 5 years) and redirect the old domains to here. This ensures Google always passes full SEO benefit from the backlinks from the old domains to here. Will probably just pay for 5 years domain registration for each and forget about it for 5 years, when renewal is due I’ll check if any important backlinks are still live via the old domains, if there are I will have the choice of letting the domains expire and loose the backlinks or pay for more years. My decision will be based on how important the backlinks are. If your old domain had very few backlinks one year would be more than enough (few months is enough if you can change the backlinks to point to the new domain). The idea is not to loose any important backlinks in a domain move and that means paying for both domains and 301 redirecting old to new. This assumes your old domain had backlinks. From the sounds of things you did this. Made a duplicate copy of the website to the new domain, found Google had indexed it days later. Deleted the old domain (let it expire) within days of creating the new domain without ever adding any 301 redirects. 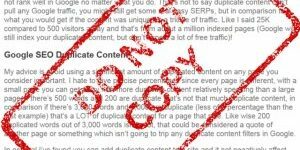 What you have is a duplicate copy of your original website without informing Google the duplicate should now be considered the original. If you are lucky you’ll get away with it, worst case scenario Google sees the new domain as a scraped copy of the old domain and treats it as a duplicate copy. Solution pay for another year domain registration for the old domain and add a 301 redirect. This wouldn’t usually happen quickly, so might be something else going on with the new site, though there wasn’t anything obviously wrong (it can be spidered/indexed). Not being sure on the exact timeline could be simply the new domain has no backlinks, Google found the domain not via a backlink, indexed it, but dropped it soon after due to no backlinks and/or duplicate content. BTW Your site is one of the worst SEO designs I’ve seen in a LONG time! Did the person building it go out of their way to make it anti-SEO? Loads of content in images with either rubbish alt text or SEO spammy alt text. None of the image names are SEO’d. All your portfolio links are to images. Barely any indexable content (only the home page is indexable: there’s only a home page). Note the Text box output, that’s pretty much what Google sees your site as. Look at the big blocks of text “GRAPHICS PACKAGING PRINT GRAPHICS PACKAGING PRINT GRAPHICS PACKAGING…” that looks like keyword stuffing. It’s not keyword stuffing, it’s very poor SEO design! A combination of keyword stuffing your alt text and meta tags and poor design that makes it look like keyword stuffing your text tripped my SEO SPAM filter, I wouldn’t be shocked if Google is seeing this page as SEO SPAM. This design is awful, it’s limited your entire online presence to one single webpage (the home page only) and it is so poorly SEO designed you might as well not bother, surely you can’t get business via Google organic search with this design? Good example of how NOT to build a website for Google organic search engine traffic. I note the designer of the website (they added a comment in the code to their website) appears to have gone out of business (domain no longer registered) I can understand why! This website was developed by our old web developer, he left our company now. The domain details also not with us,it is in his reseller account, we only have the cpanel details.That is why we changed the domain on the renewal time. We used the same contents and design in the new domain also,but it is after the expiration of the old domain.And this website previously displayed in the front page of google. Now is there any chance google reindex my site? I see, sounds like you are sorting out a mess, loosing control of your old domain and fixing the issue by creating a new domain. Valuable lesson, NEVER allow others to own your domain, always register the domain yourself and have access to the domain registration account. If the old domain remains deleted Google will probably index the new domain after you add some backlinks to it (I assume you haven’t built new backlinks yet? ), but you won’t gain your old rankings automatically without the 301 redirects. With the 301 redirects Google will treat the new domain as deserving whatever rankings the old domain had minus a small downgrade for the redirects. Without the 301 redirects it’s like me making a copy of your website and placing it on a new domain and hoping I can beat your website rankings just by copying your website. The only plus you have is the old domain is delete (so only one copy online), BUT this only helps if your SERPs are SUPER easy. If you consider a good SERP “Alfain Advertising & Publishing” you’ll probably regain it easy, but if you had even semi-competitive SERPs like “Advertising Agencies in Dubai” and “Advertising Agencies in Sharjah” (I’m guessing you didn’t have those SERPs with the old site, your SEO is really bad) you will be competing with competition who have been online longer than your new domain and have backlinks. Basically you just shot yourself in the face deleting your old domain without adding 301 redirects. Saying that I’d be surprised if the old domain generated 50 visitors a month from organic search, so not lost a lot (unless you can make a living from so little traffic). The fix is gain control over the old domain and pay for another year domain registration and 301 redirect (or use the old domain even better fix). If you have lost control of the old domain it’s a case of fingers crossed and rebuild like you would with a new website. Your current SEO is rubbish and doesn’t look like you have a backlink profile (backlinks are important), so if this was easy SERPs you had (company name type SERPs like “Alfain Advertising & Publishing”) with a better SEO design and working on backlinks you should easily regain the SERPs. Search Google for Alfain Advertising & Publishing and you are at number 1 today. You should signup for Google Webmaster Tools and check the index status there, will be 100% accurate what is and isn’t indexed and if Google does hit the site with a penalty you sometimes get a warning via Webmaster Tools.